Specialist Employment Solicitors providing first class legal advice to both employers and employees. ConwayMcColl Solicitors, specialise in all areas of employment law. We provide clear, expert, legal advice to employers and individuals, be they employees, ex-employees, senior executives or workers. As well as offering expert employment law advice, we provide continuity of support to ensure that all of our client’s get to know and trust the solicitor dealing with their matter. 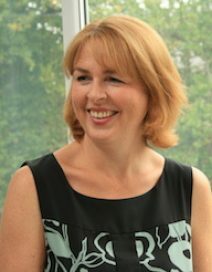 ConwayMcColl Solicitors, based in Bramhall, Stockport, Cheshire, was established by Solicitor and employment law specialist, Pamela McColl (pictured) to deliver high quality and cost effective, legal advice and assistance. We know that legal costs are often a great concern for both businesses and individuals and we frequently work on a fixed fee basis, where possible, to ensure that there are no nasty surprises when it comes to your legal bills. If you are an employer, manager of staff, or an individual who has a concern about the workplace, the sooner you contact us, the sooner we can help you. Contact ConwayMcColl Employment Solicitors to discuss your options and the right way forward for you. Conway McColls take the time to listen and ask what you want to achieve in a caring and compassionate way. They have the knowledge and expertise in all areas of Employment Law. They give excellent advise and options. Talk you through the whole process at every stage. I would recommend Conway McColl to all my family, friends and clients.